* The Dainty Maid Inc.
Tassette— Pinkish in color, shaped very much like a modern mooncup. Tassaway — Also pinkish, had a ring stem, and several seal rings around the top. Daintette— Green, VERY bell shaped, small cord-like stem. Foldene— Pretty much the same as Daintette, only brownish-tan in color. 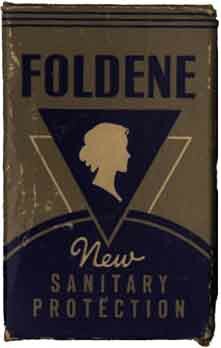 Sadly, the manufacturers of the early brands did not stay in business long, because they were working in a time when most women were still appalled by the idea of being “hands-on involved” with their periods, or using internal products. Also because there were a lot of advertising restrictions– many magazines, billboards and news papers had strict censoring rules, that would not allow the printing of words necessary to describe what the products were and how they worked back then. Such things could not be talked about on the radio, or on television in the mid-1900’s either. So marketing methods were extremely limited. That combined with the fact that safer materials were not available back then like they are today, and there was little or no repeat business due to the lengthy lifespan of the cups, and the small number of customers. This led to the ultimate downfall of the companies. But today, we have much better marketing resources and tools. 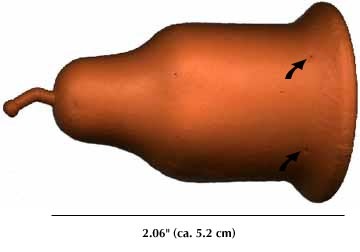 We have safer material to work with (medical silicone and TPE). Today’s women are also more knowledgeable about their bodies, and more comfortable with them as well. So we are now in a much better marketing time for these products. 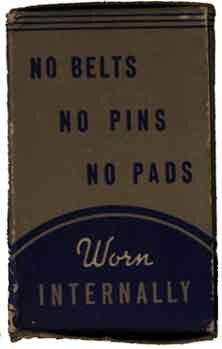 I am considering myself very lucky for born in this modern era otherwise i had to use those nasty and uncomfortable pads. Errrrr…..